Everybody has access to some form of media – you can write a letter to your paper, organise an event, speak at your local club, facebook our messages. Everyone has a role to play. Be part of the campaign – find out how in this newsletter. I’m immensely proud to be the chair of White Ribbon Advisory Committee and Patron of the White Ribbon Charitable Trust. White Ribbon asks men to acknowledge men’s violence against women and to take responsibility for helping to end this. This November I hope everyone across the whole of New Zealand, takes time to think about how we can all make a difference. Last year, New Zealand was reeling from the revelations of the Roastbusters saga. Many were shocked that this type of behaviour could exist and hoped this was a one-off isolated incident. It is quite clear that this is not the case. These attitudes exist across the length and breadth of the country, and we need men to stand up and make it clear that violence is not acceptable. 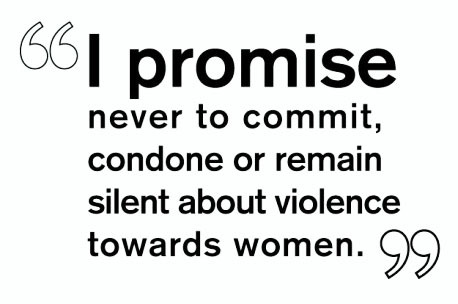 I’m asking you to take The Pledge ‘never to commit, condone or remain silent about violence towards women’. And please consider doing it in such a way as to share the message with as many people as you can. Share this graphic on your Facebook page, or even better, film yourself taking The Pledge and post it on our Facebook site here and then share it on your own timeline. That way your words and actions can be seen by all your friends. This White Ribbon Month let’s influence as many people as possible. With Police attending a family violence incident every 5 ½ minutes, we have and we must do everything in our power to end men’s violence towards women. If you’re holding an event of any kind please let us know. 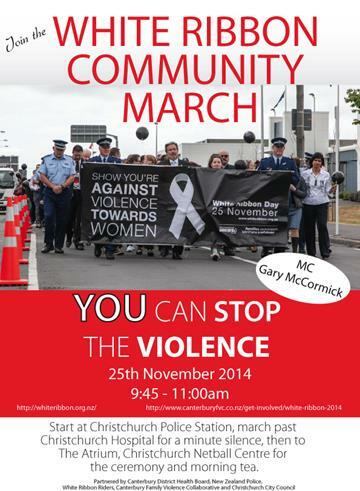 The public want to know where they can join and support the White Ribbon Campaign. 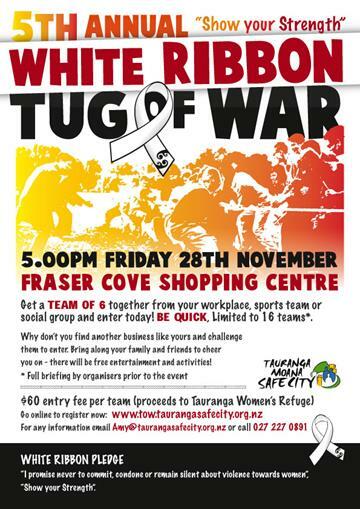 Events are listed here on the White Ribbon website. Each year we focus on a number of key messages to maximise the chances of the public taking on-board the focus of the campaign. 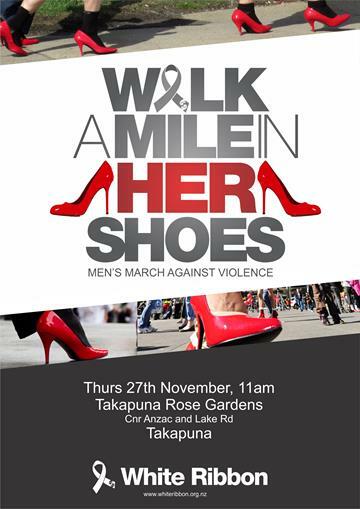 We want men to help us shift the violence culture in New Zealand. This document explains why we are focusing on The Pledge, and how men can use it to influence not only their own behaviour, but that of their mates. If you have organised a speaker at an event, please consider sending them this document so that we are all talking from the same page. If you’re a supporter, please take the time to read it, so you too can help the campaign get our messages out to the public. Download the document here. 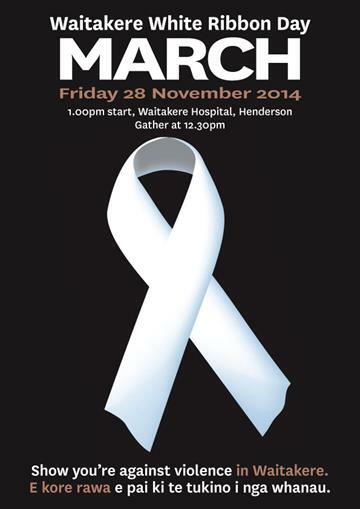 If you are a White Ribbon supporter, please take The Pledge. Encourage your mates, your co-workers, your friends to take The Pledge. Even better, film yourself and post your video here and share it on your timeline. 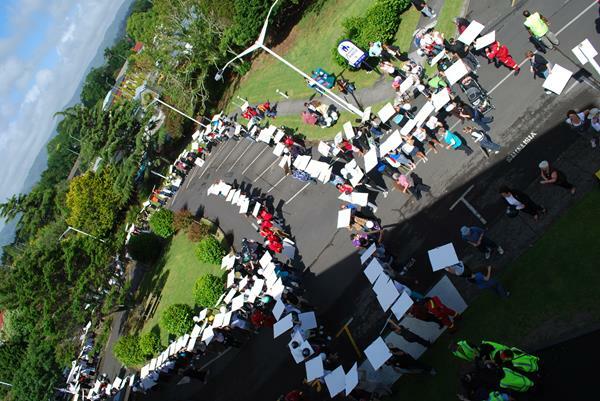 What better way for us to share our message than have thousands of New Zealanders take The Pledge online. 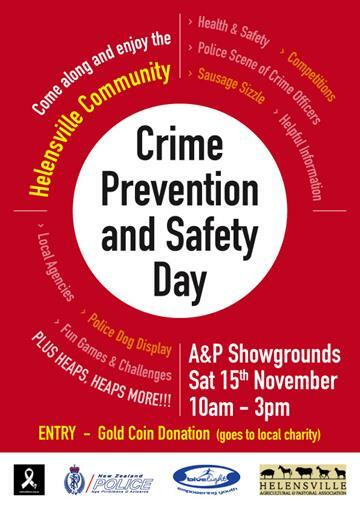 If you are holding an event, please build The Pledge into your activities. Place a laptop (with an internet connection) on a table so that the public can take The Pledge online. If you do not have internet available, download the written Pledge Form in this excel document so that you can capture people’s details on a laptop. You can then email the document to campaign Headquarters. Display signs for these tables can be downloaded here. If you wish to invite a White Ribbon Ambassador to your event, please send a short email with the where, when and what details and we can forward this to an appropriate Ambassador. 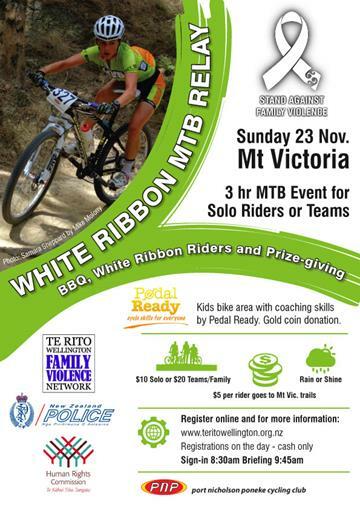 The White Ribbon Ride launch is in Palmerston North on Saturday, 22 November and the South Island Launch is on 18 November in Nelson. For more details click here to see the schedules where the ride will be on each day. If you know someone who rides a motorbike, encourage them to join the ride. Last year MokoAotearoa filmed a segment of the ride with Richard Francis and Ride Leader Aaron Morrison. 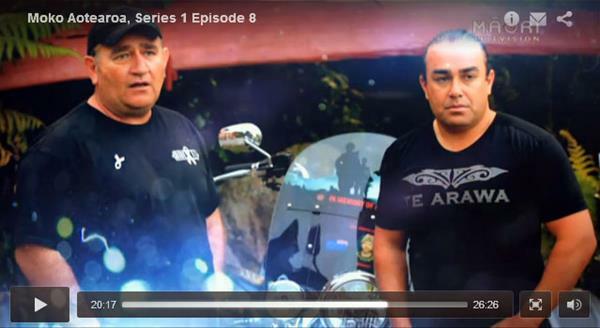 The clip from Maori Television is here with the ride segment at 20mins. Order your resources before White Ribbon Day. Click here to visit the White Ribbon Shop and purchase ribbons, posters, tattoos, balloons, t-shirts and wristbands. Resources will take no more than a week to arrive. You can pay by credit card or invoice. Please take photos of your events and email them to us so we can place these on Facebook and inspire others to participate. 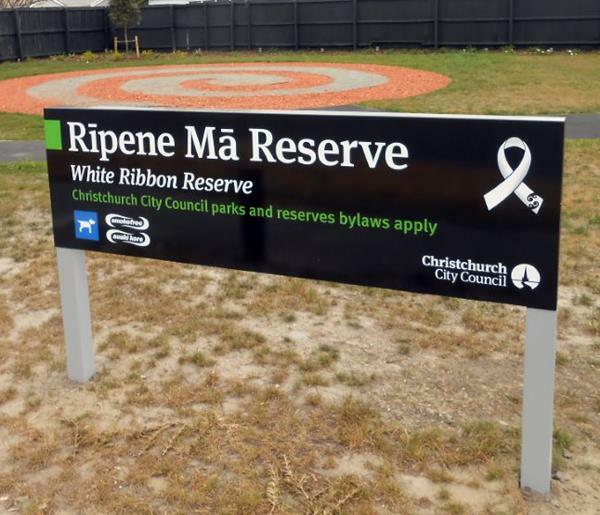 A Community reserve in Christchurch has been named Rīpene Mā Reserve (White Ribbon in Maori) to honour those who lost their lives to violence. This site has been blessed, and a ceremony held for close family members. Now there is an opportunity for the Christchurch community to participate in the official opening of the reserve on Friday, 27 November at 7pm as part of White Ribbon month. Eric Keepa is an artist and songwriter based in Christchurch. He is currently working on his first album which is due to come out in 2015, and has gifted his iTunes hit ‘Another Door' to White Ribbon. STAND UP PAPAKURA AND TAKE A BOW! On the 20 September the Papakura Marae hosted a fun day to celebrate the family and its community. There were many exhibitors who all work in a multitude of roles to create safe families. 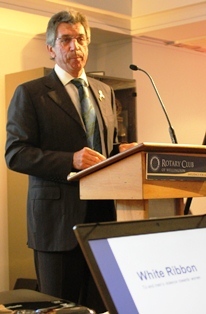 White Ribbon Ambassador David White spoke on behalf of White Ribbon, supported by Maurice Tarei. Find out more here.